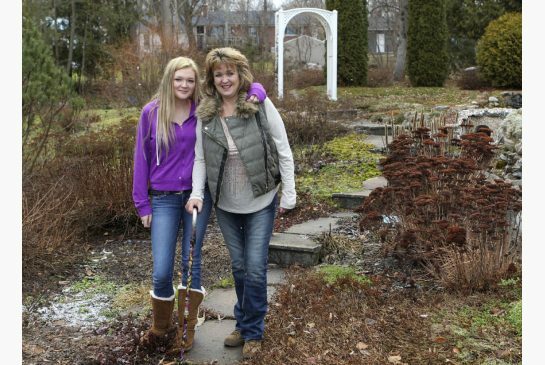 Tonie Farrell stands with her daughter Desiree, 16, in the backyard of her mother's home in Orillia. She alleges she was assaulted by an OPP officer in April 2013 while trying to offer him a description of people she saw beat up another woman. “I was 46, healthy and active,” she said. “I don’t get out and about like I used to. I do have family members supporting me, but it’s not the same. I just try to deal with it … They think I should be happy (because of the ruling). But I’m not happy. I live with this 24 hours a day. I don’t have my life back, while he (Watson) carries on. Another classic example of how Police in Ontario are above the law, State Funded Criminals who are a cartel of crime. Ontario Gender Superiority Program, a fascist ideology that gives him the self declared right to fabricate evidence NOT to charge violent women. Peter Van Der Zander effectively promotes domestic violence and child abuse. You will hard pressed to find a more rotten corrupt cop in Canada than Det. Peter Van Der Zander, Ottawa's professional Criminal.